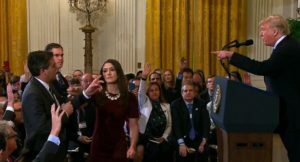 CNN and Acosta filed a suit on Tuesday against President Trump and several White House aides alleging violation of Acosta’s 1st and 5th Amendment rights. Point one, Congress did not make any law here. Regardless of that, revoking Acosta’s press pass does not violate freedom of the press. Cable News Network (CNN) is the press. 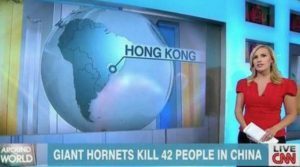 Jim Acosta is one reporter for CNN. CNN still has about 55 hard presses to cover White House activities. CNN has not had their 1st Amendment violated in terms of free press as they still have more than ample access. Regardless of what they may claim. Acosta is not allowed freedom of the press, as he is not the press, he is a reporter working for the press. One threshold to violation of free speech rights is “viewpoint discrimination.” Was a viewpoint clash what caused this alleged discrimination? 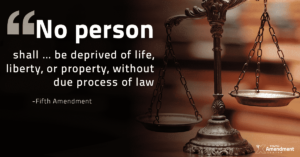 Acosta has not been deprived of life, liberty or property. Period. Acosta, just one thing -- learn how to report facts, as your opinion is not news. And, you work at the Cable NEWS Network. That is, of course, unless CNN changed their name to CON, the Cable Opinion Network, and simply failed to inform us. ← Will Hillary Clinton run again in 2020 and why should it be allowed?